In the real estate sector, Holland Property Plaza (HPP), an independent marketing organisation and well-known network organisation, is an established name. With a proven track record of more than 30 years of international building and real estate experience on the part of the founders of Holland Property Plaza, HPP is the most prominent organisation to offer interested parties direct access to the top of the Dutch real estate market. Within Europe, Holland Property Plaza connects people, companies and organisations in the real estate sector and supports its (international) partners throughout the year with an impressive programme of network meetings, symposia, participation in fairs (Expo Real & Mipim), active knowledge exchange and in establishing contacts. As an independent and privately owned marketing organisation, the Holland Property Plaza Foundation maintains close relationships with public (government, semi-government and municipalities) and commercial (investors, developers, advisory and design agencies and consultants) parties in the real estate sector. As international collaboration becomes more important and foreign investors account for more than 65% of the investment volume in the Dutch real estate sector, HPP is on the lookout for international partners for a more direct collaboration. This cooperative should give added value to both parties. 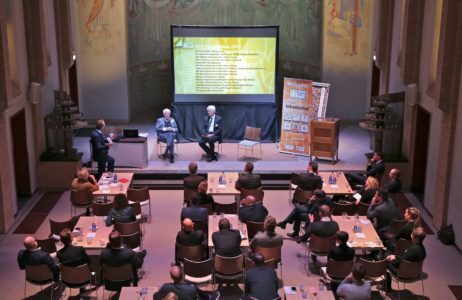 With more than 60 participants from the most important disciplines of the real estate sector, HPP has become the Dutch platform for knowledge exchange, cross-border collaboration and business development in the real estate sector since its foundation in 2007. HPP Public/City members, for mid-cap cities with a minimum of approximately 100,000 inhabitants and all governmental, non-governmental and public organisations. HPP-IREIN membership for International Real Estate Investors active in the Netherlands with an invested volume of at least € 100 million. HPP-REDA membership for real estate developers and advisors with various backgrounds in the real estate industry. HPP-TECH membership for foreign and local technology companies for the real estate sector. HPP-C&I (Construction & Industry) former association GSVB, now a integrated HPP platform for construction companies, suppliers for the building industry and manufacturers. HPP SME/Private membership for small and medium size companies and consultants. In order to make optimal use of the many possibilities offered by the HPP network and the HPP Community, participation in the HPP stand as a co-exhibitor is reserved exclusively for members of the HPP Community as from 2019. HPP co-exhibitors are those who participate in the HPP stand during Expo Real with one of the A-lounge, A-B-C plus or C-exhibitor HPP stand packages starting from € 10,000 to € 35,000 depending on the chosen work desk and facilities. Holland Property Plaza is also the organizer of the annual Holland Property Bike, a 2-days amateur cycling event for real estate professionals at decision making level, both public and private. Holland Property Plaza®, HPP-Community, HPP-IREIN, HPP-REDA, HPP-TECH, HPP-C&I, HPP-SME, HPP Investor Dinner, HPP Café, HPBike are concepts of Thijssen-PR, Zeist NL. 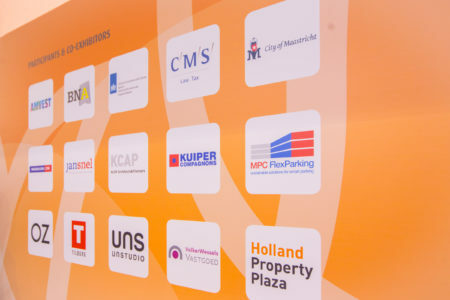 Besides the all-inclusive co-exhibitor packages and HPP-Memberships, starting from € 2.500,- till € 35.000,- Holland Property Plaza organizes an extensive annual program of networking activities and networking meetings in the Netherlands and abroad.